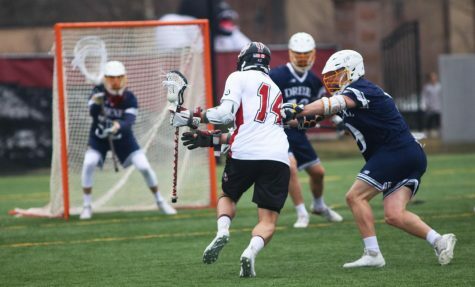 The Massachusetts men’s lacrosse team didn’t let up on its strong start to the season Saturday afternoon and cruised to a 9-6 win over No. 20 Brown. 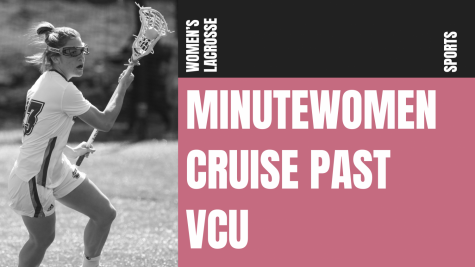 While the game started off back-and-forth, the third quarter saw a swarm of offense from the Minutemen. 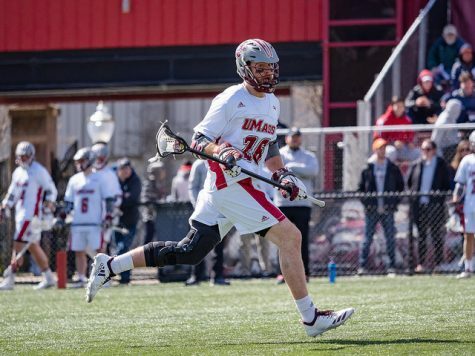 By the conclusion of the game, UMass (4-0) had two players with hat tricks in junior midfielder Anthony Biscardi and freshman attackman Connor Mooney. 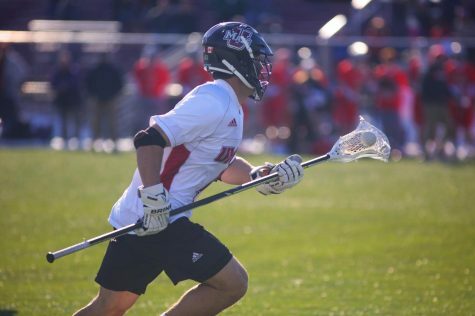 Mooney and Biscardi helped the Minutemen offense, which lacked leading performances from attackmen Will Manny and Art Kell, who were both held scoreless despite a combined seven shots. “When Will Manny and Art Kell get shut out and [you] win, you’ve got to be happy,” said Cannella. 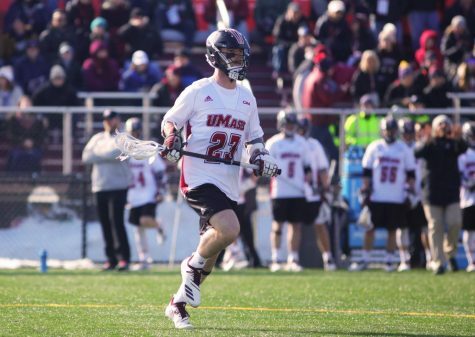 Mooney said this game was an indication of how he’s adapting to the UMass style of play. “I’m definitely getting a little more comfortable playing in the system,” he said. 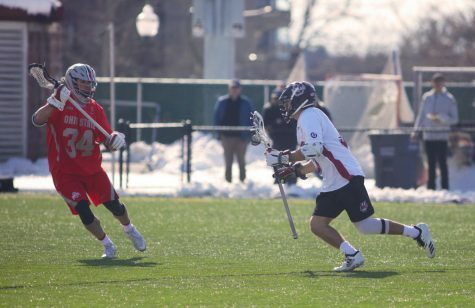 Junior Greg Rushing played impressively against the Brown Bears (1-1), as he secured a career-high 13 groundballs and went 10-for-14 on faceoffs. 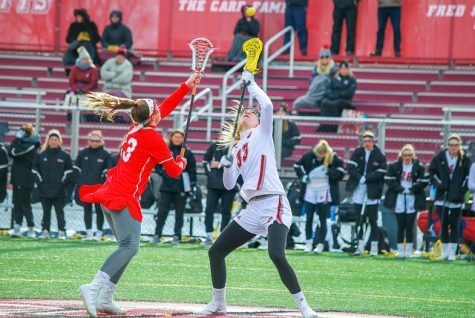 While Rushing, Biscardi and Mooney helped give UMass possession and time on the offensive side of the ball, Cannella wasn’t thrilled with how the unit performed in the victory. Until the third quarter, the Minutemen relied on its defense to stay ahead of a resilient Brown side. This included containing junior Andrew Feinberg, who unloaded four goals on the Brown Bears’ first opponent of the season, Quinnipiac, on Feb. 26. Feinberg was held to a goal and an assist on Saturday. “Feinberg is probably one of the better attackmen we’ll face,” said Cannella. With their defense standing tough, the Minutemen opened up a little bit more in the third and allowed its offense to have a crack at the net. 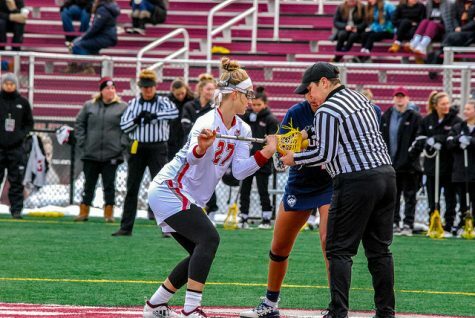 The opening up of the offense allowed the Minutemen to outscore Brown, 5-2, in the second half, giving the squad all the offense it needed to remain unbeaten. 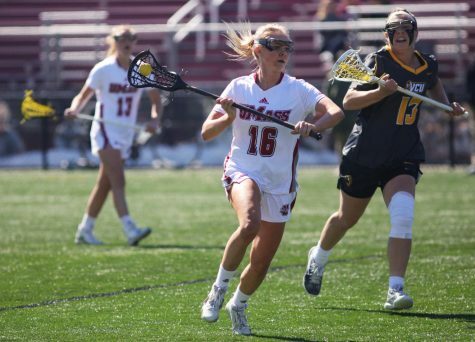 When UMass travels to face Albany on Tuesday, it won’t be facing a nationally-ranked team, as the Minutemen face a Great Danes (1-1) squad picked to finish second in the America East Conference ­– headed by No. 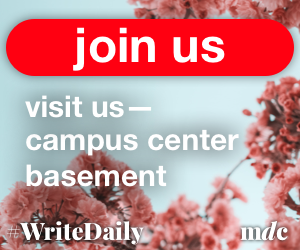 7 Stony Brook. In its most recent contest against Delaware, Albany picked up its first win of the season with the help of freshman Miles Thompson, who notched a hat trick. 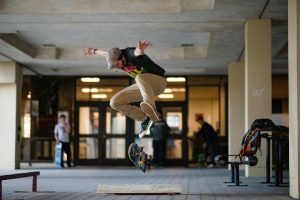 For Cannella, the difference in rankings doesn’t affect the way the team is going to practice and prepare. This will be the beginning of a two-game road trip for the Minutemen, who went 3-4 on the road last season. “We weren’t very good away from home last year either, so we hope we can scratch out a couple this year,” said Cannella. 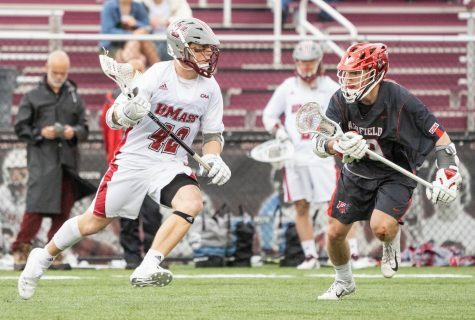 UMass will have three days to prepare for its game Tuesday, a quick turnaround for a team used to playing on a weekly basis.